According to Ferrari, the Ferrari 458 Italia Spider is the first rear engine car with a retractable hard top. This may not seem like a big deal, but it means the Ferrari 458 Italia Spider is one of the fastest hard top convertibles ever made. 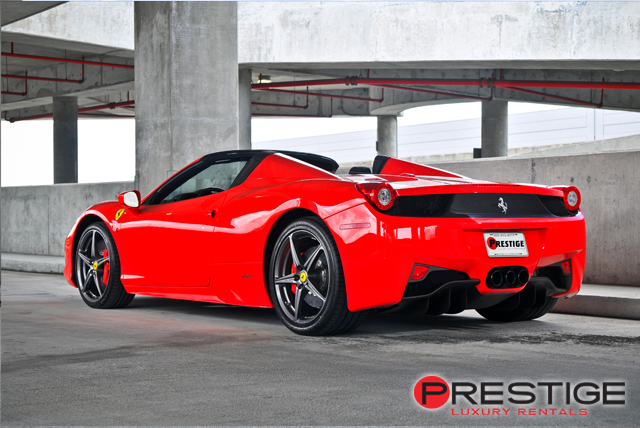 In addition to speed, the Ferrari 458 Italia Spider exudes the finest of Italian luxury. Formula One cockpit style leather seats offer an incredibly comfortable ride while a pair of digital monitors behind the steering wheel give you easy touch screen access to nearly every detail of the vehicle with minimal need to move your hands. This is a car that will knock your socks off with speed and then continue to impress with pure style. 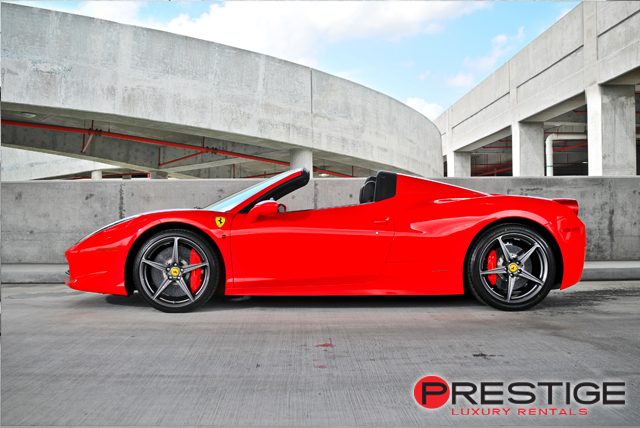 If you are visiting Miami for a business trip that gives you free time during the evenings, the captivating Ferrari 458 Italia Spider is an ideal vehicle for hitting the night life. 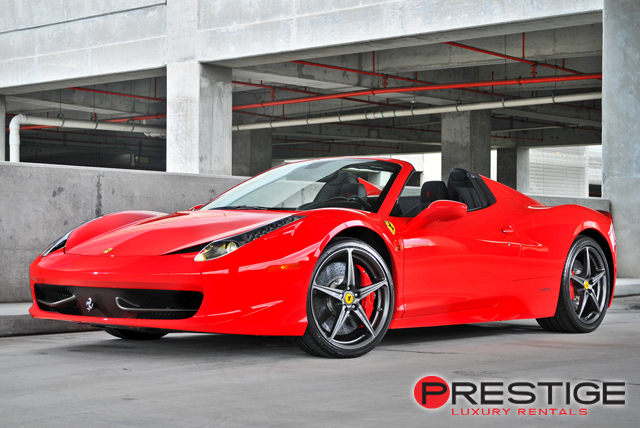 Rent or hire a Ferrari 458 Italia Spider from Luxury Car Rental Miami and drive it from the Miami-Opa Locka Executive Airport to South Beach for a litle nighttime fun. When you pull up in this vehicle to the Mynt Lounge, Cameo, Set Miami, or Mansion, you are your car will instantly be the talk of entire club.